Somehow two years has passed since I last posted… TWO YEARS! How did that happen? What’s happened in that time? Well you might remember that I was doing an MA in publishing. Well yey! I passed and got a Merit. Go me. Then life happened. I met someone. Got a job as an assistant publisher for deCoubertin Books. Moved house. Adopted a puppy. Phew – I feel exhausted writing that down. So life got in the way of blogging. But I am back! Ish. I can’t remember how many books I have read or how many books I have to read. I know this past year my reading has slowed and allowed only time to re-read the best ones. Really? Do I need to tell you the plot? Sigh… here goes. We meet a 1 year old Harry Potter as he is being left on the doorstep of his aunt and uncles. Why is he being left on the doorstep instead of someone knocking and explaining that Petunia’s sister has been murdered by Lord Voldemort and she needs to adopt her nephew I don’t quite know but that is the way of Dumbledore. Harry grows up in a world that is very normal, bar the scar on his forehead and living with relatives rather than his parents, oh and not knowing he is a wizard. On his eleventh birthday he finds out about his magical blood and sorrowful past and attends Howarts: School of Witchcraft and Wizardry. Harry finds friends (Ron and Hermione) and learns to fly for the house quidditch team. All rather exciting. During his time at school, he has to battle with Lord Voldemort, see his friends die, fall in love and hand in his Potions homework. Just your usual high school experience. I like, many people in this world, love Harry Potter. It is a pathway to another world. A world which I really really wish existed (I really hope it doesn’t now as I didn’t get a letter on my 11th birthday!) JK Rowling has this amazing ability to create this whole new world which makes sense. As Harry has no idea about anything he has to learn about it and this is the beauty and simplicity in Rowling’s approach. You as the reader learn alongside Harry so by the time the 7th book exists you know your Boggarts from your Dementors and Transfiguration from your Herbology. Someone who has no idea of Harry Potter would really struggle to pick up The Deathly Hallows and be able to follow it just for the language and terminology used. I know when discussing Harry Potter with friends in front of my mother, she claims it is like listening to another language with how little she understands what is being said! I feel that this also adds another layer which I doubt Rowling intended. It is like a secret club. Those who understand and those who don’t. A secret club with a few billion people but still… secret. Verdict: You can’t love it as much as I and not give it at least 9.75/10 (I’m looking at you Order of the Phoenix for letting down the 0.25!) 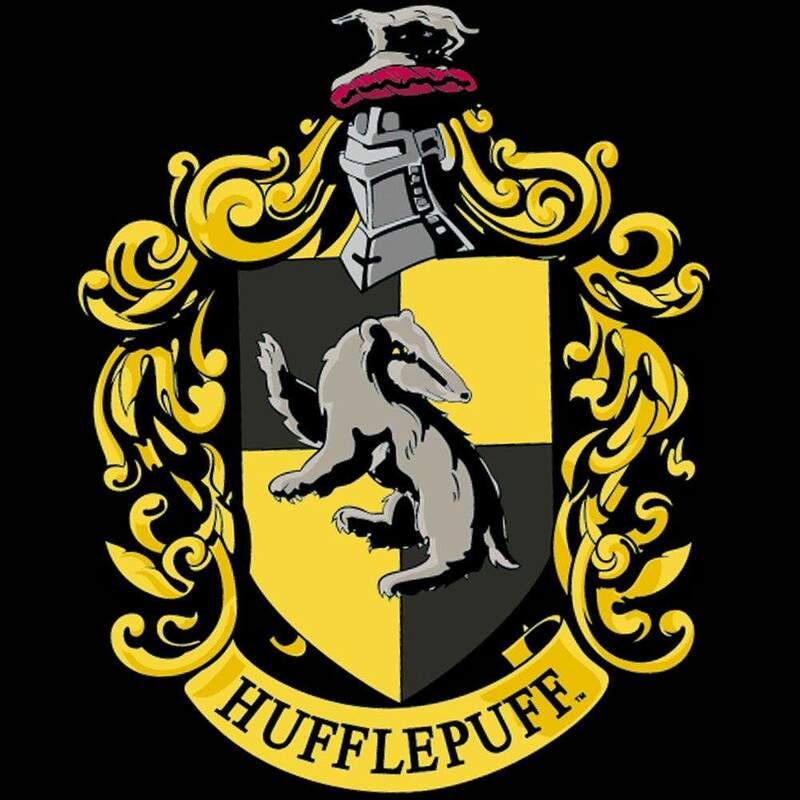 Also, shout out to all the Hufflepuffs out there!